The South Florida Water Management District is directed by nine Governing Board members who set policy for the agency. They reside within the agency's 16-county region and represent a cross section of interests, including the environment, agriculture, local government, recreation and business. Governing Board members are unpaid citizen volunteers appointed by the Governor and confirmed by the Florida Senate. They generally serve four-year terms. The Governing Board appoints the Executive Director, who directs all South Florida Water Management District activities. The Florida Senate confirms this candidate. Chauncey Goss is the founder and managing partner of Goss Practical Solutions – a firm that provides federal fiscal policy analysis and budget forecasting. Prior to starting the firm, Goss served as Deputy Staff Director and Director of Budget Review for the House Budget Committee under Paul Ryan. Before working on Capitol Hill, Goss worked for the Executive Office of the President in the Office of Management and Budget's National Security Division where he was instrumental in ensuring the Department of Defense and intelligence community were properly resourced. Prior to that, he worked as a strategic planner under contract to the Air Force, Navy and intelligence community. As a long-time resident of Southwest Florida, Goss first became involved with water quality issues when he worked as the Executive Director of the Gasparilla Island Conservation and Improvement Association on Boca Grande in the early 1990s. Goss grew up on Sanibel Island and currently lives there with his wife and three sons. He is active in his community and serves as an elected member of the Sanibel City Council. He is past Chair of the Board of Trustees at the Canterbury School in Fort Myers. He serves on the boards of Captains for Clean Water (Treasurer); the Southwest Florida Community Foundation (Executive Committee); the Sanibel Captiva Conservation Foundation; and the United Way of Lee, Hendry, Glades and Okeechobee counties. He has served as an appointed member of the Lee County Coastal Advisory Council and as an appointed member to the Charlotte Harbor National Estuary Program's Management Committee. He received a B.A. 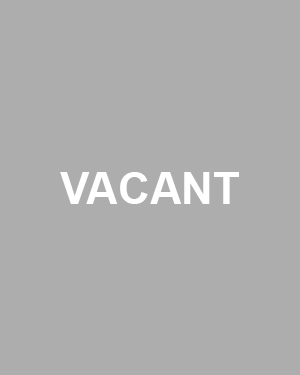 (Area Studies – Political Science, Environmental Studies, English) from Rollins College and a Master's Degree in Public Policy from Georgetown University. Cheryl Meads is a dedicated water quality advocate who believes protecting this precious resource is key to positively impacting the lives of all that call South Florida home. She has served on the Islamorada Village Council since 2016, spending most of her time championing efforts to restore and save the seagrasses that are essential to Florida Bay. She is a scientist who holds a degree in chemistry with education, training and experience in biology, microbiology, water analysis, development and implementation of quality systems, technical investigations, corporate compliance, contract negotiations, and contract management. She previously worked as a contractor for the Environmental Protection Agency (EPA) and as a Manager of Global Quality Assurance for the pharmaceutical company GlaxoSmithKline (GSK). Her responsibilities covered factories worldwide. Upon discovering defects associated with medications GSK was selling to the U.S. market manufactured at its Puerto Rico plant, Meads brought forward a whistleblower lawsuit. This led to a felony guilty plea in 2010 to distributing adulterated drugs with the intent to mislead and to defraud. Cheryl and her husband Mike are part-time Christian Missionaries; who joyfully serve in the Philippines. They look forward to their next trip. Charlie Martinez is president of CEM Investments LLC, an investor in a variety of real estate projects. Martinez is also a partner in the Grove Bay Group, a food and beverage company that owns and operates various restaurants in Miami-Dade County. Some of Grove Bay’s establishments include Shulas 347, Glass & Vine, Grove Bay Grill (Old Scottys), Stiltsville Fish Bar, Stubborn Seed and Root & Bone. In his prior professional work, Martinez and his father co-founded Caribe Homes (1986-2010), one of the largest private homebuilders in Miami-Dade County. Beginning with a modest 10-acre tract, under Martinez’s guidance, Caribe built over 5,500 homes. In 2005, Martinez spearheaded a sales record that surpassed $140 million in home sales, the largest one-year sales total ever recorded by a privately held home builder in Miami-Dade County at that time. Martinez grew up in Miami and currently lives in Pinecrest with his wife and three daughters. He is active in his community and served as past president of the Latin Builders’ Association and as an officer since 1991. 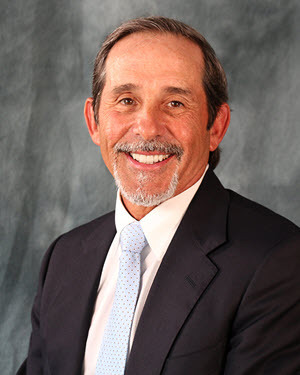 Martinez was a key contributor to the enforcement of building codes throughout South Florida, serving on numerous construction industry oversight boards. He also currently serves on the boards of Baptist Hospital of Miami, Our Lady of Lourdes Academy High School and Cat Cay Yacht Club. He has been a member of the Everglades Foundation for the last eight years. Martinez received a B.A. degree in Building Construction from the University of Florida. Past Member, Board of Directors, Our Kid Inc.
Jacqui Thurlow-Lippisch is a former high school teacher who taught English and German. For the past 18 years, she has practiced real estate and is currently a referral agent with the Life Style Realty Group. 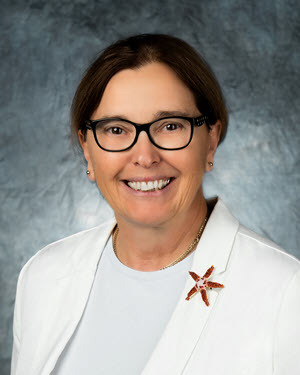 Thurlow-Lippisch is a longtime advocate for the St. Lucie River and Indian River Lagoon, who publishes a blog sharing commentary about the impacts to the health of those waterways. A former commissioner of the Town of Sewall’s Point, Thurlow-Lippisch also served as the town’s mayor. She is very active in environmental and community issues on the local, county and state level. She was appointed by Senate President Joe Negron to serve as commissioner for Florida’s Constitution Revision Commission. In 2018, she sponsored the bill to Prohibit Offshore Oil and Gas Drilling in Florida’s Territorial Seas that became part of Ballot Amendment 9 and overwhelmingly passed with over 68% of the voters. Other key leadership positions include Chairing the Treasure Coast Council of Local Governments and the Florida League of Cities Energy, Environment and Natural Resources Legislative Committee. She also served as Vice-Chair of the Treasure Coast Regional Planning Council and as an SFWMD Water Resource Advisory Commission alternate. Thurlow-Lippisch grew up in Stuart and lives in Sewall’s Point with her husband, Dr. Ed Lippisch. She holds leadership roles in various organizations to bring awareness to preserving and protecting the environment. 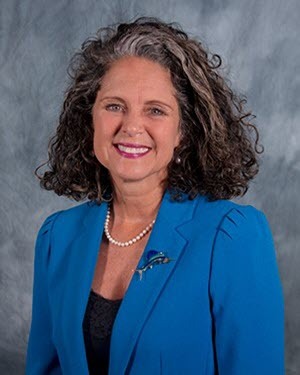 She currently serves as Board Member-at-large for the Florida Wildlife Federation, member of the Guardians of Martin County and the Rivers Coalition Inc. and as Volunteer Administrator of the River Kidz Organization. Thurlow-Lippisch received a B.A. degree in Journalism and Communications and a B.A. degree in German from the University of Florida. She also earned a Master of Arts degree in Curriculum and Development from the College of Education, University of West Florida. 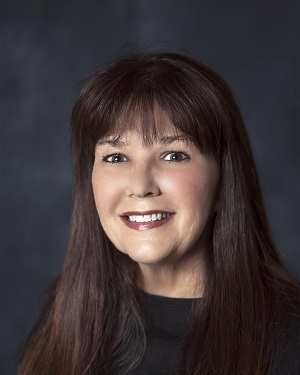 Charlette Roman is a retired U. S. Army officer with 26 years of military service who enlisted in the Army in 1973 and was commissioned as a Second Lieutenant in 1976. She served as Commander of an Airborne Signal Battalion at Fort Bragg in North Carolina, a Garrison Commander in Georgia and rose to the rank of Colonel before retiring in 2001. During her military service, Roman also worked as a U.S. Army Inspector General and was one of the first U.S. military personnel present to witness East Germans crossing the Freedom Bridge in Berlin after the fall of the Berlin Wall in 1989. After retirement, Roman moved to Marco Island in Collier County and became involved in public service locally, including serving on the Collier Citizens Council, Collier County Planning Commission, Marco Island Planning Board and Marco Island Civic Association Board of Directors. She was elected to the Marco Island City Council in 2016. Her public service also includes work safeguarding the tax dollars of citizens while serving on the Marco Island Taxpayers Association Board of Directors. Roman has a passion for conservation causes and volunteered more than 1,000 hours with Rookery Bay National Estuarine Research Reserve. She also served as the President of The Friends of Tigertail Beach, a nonprofit conservation organization and was a founding Board Member of the Gulf Coast Orchid Alliance. She is a certified Florida Master Naturalist and in recognition of her educational and stewardship efforts, Roman received the prestigious Collier County Audubon Society Fellowship in 2009, now Audubon of the Western Everglades. Roman grew up in Akron, Ohio and currently lives on Marco Island. Roman received a Bachelor of Arts Degree in Communications from Loyola University in New Orleans and a Master of Arts Degree in Business Management from Webster University. She is also a U.S. Army War College Graduate. 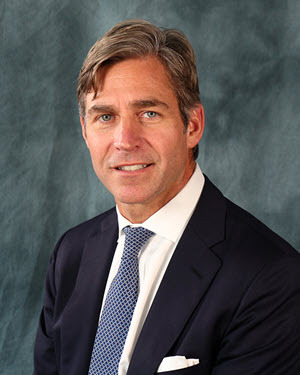 Jay Steinle, of West Palm Beach, has served as Managing Director of Lighthouse Investment Partners since 2005. Lighthouse is a global investment management firm offering hedge fund solutions to investors looking to diversify their asset mix and realize returns with a lower correlation to traditional equity and fixed income allocations. 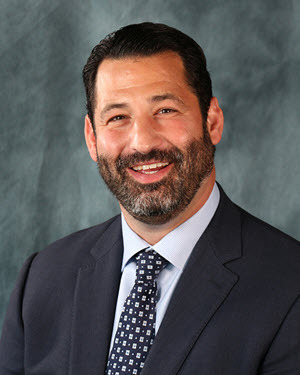 Originally from Connecticut, Steinle has lived in West Palm Beach with his wife and three children since 2005. His interest in water quality and Everglades restoration evolved as a result of his passion for outdoor sports that depend on these resources. As an avid fisherman in the Everglades region, and elsewhere, he understands the importance of water quality improvement and ecosystem restoration – both key missions of the District. 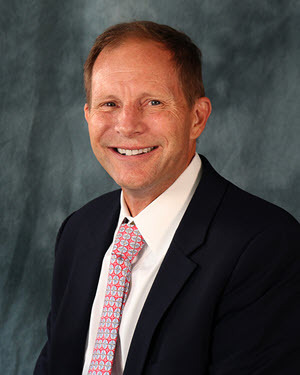 With an extensive background in finance and investment, he is also keenly aware how quality, supply and control of water plays an integral role in Florida’s economy and believes all decisions must be made using science to benefit the diverse array of interested parties and constituents of the District’s 16 counties. Steinle earned a Bachelor of Science degree in Environmental Studies from the University of Vermont.